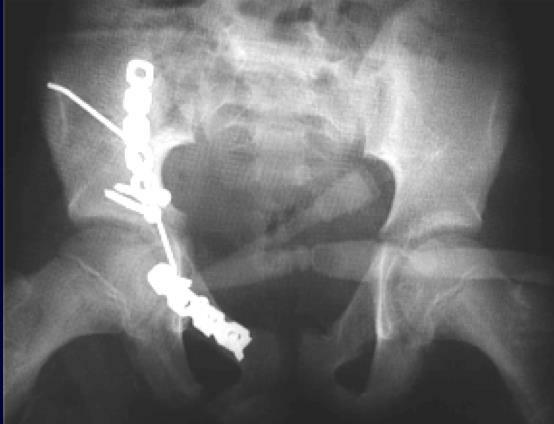 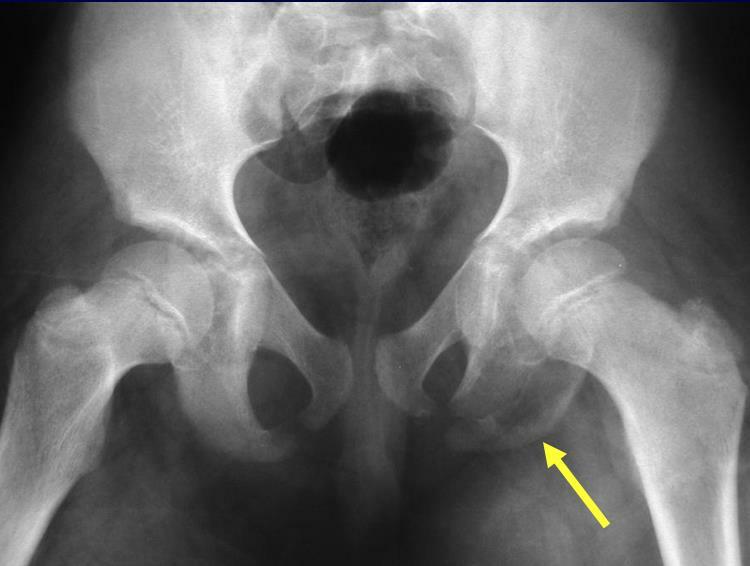 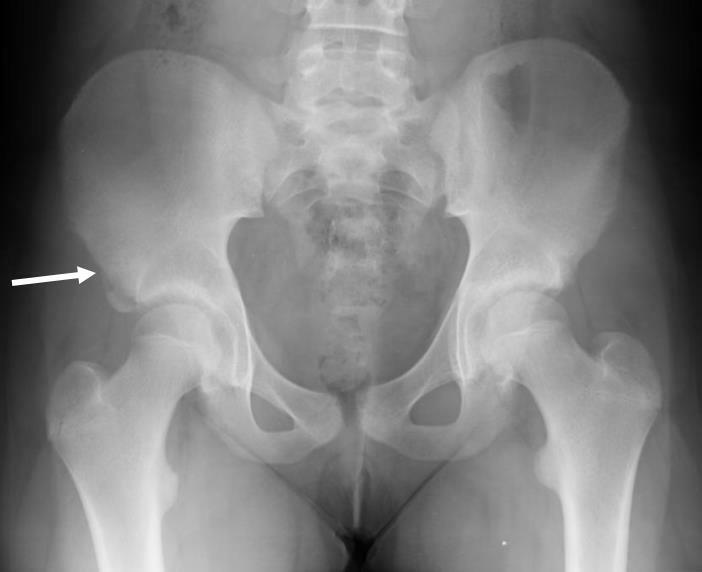 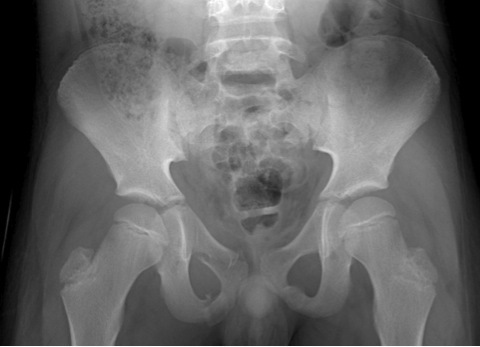 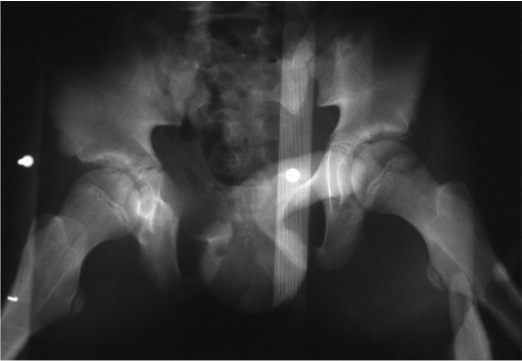 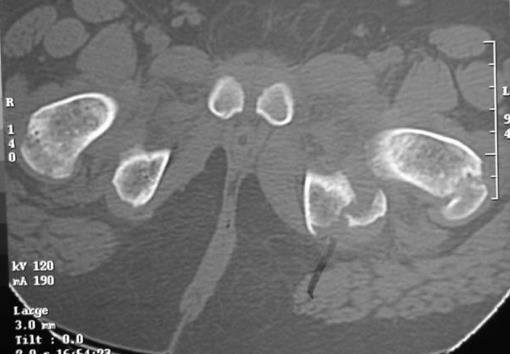 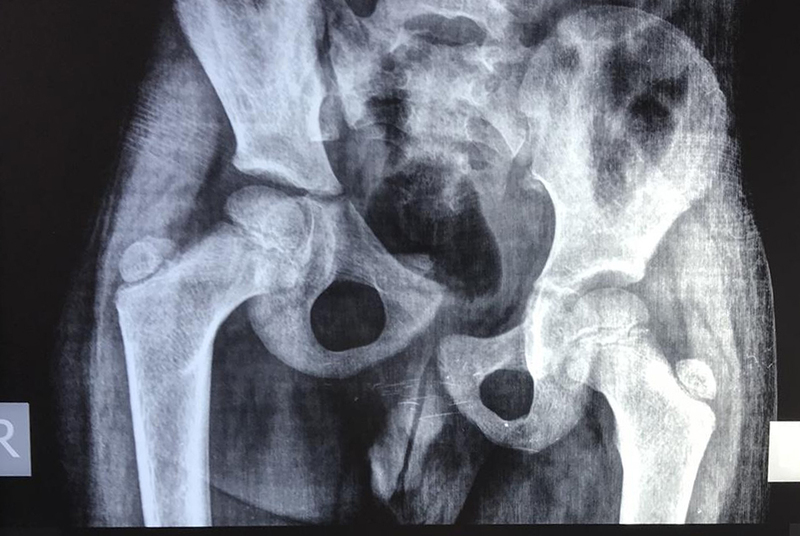 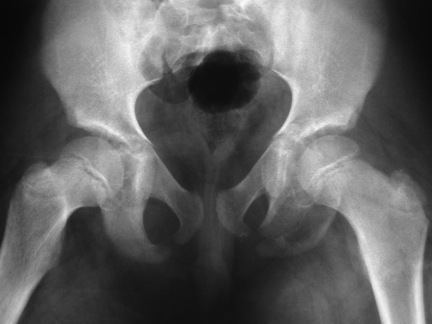 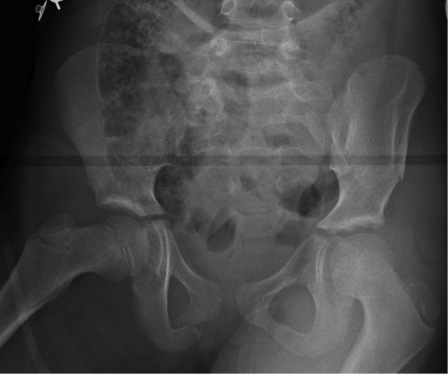 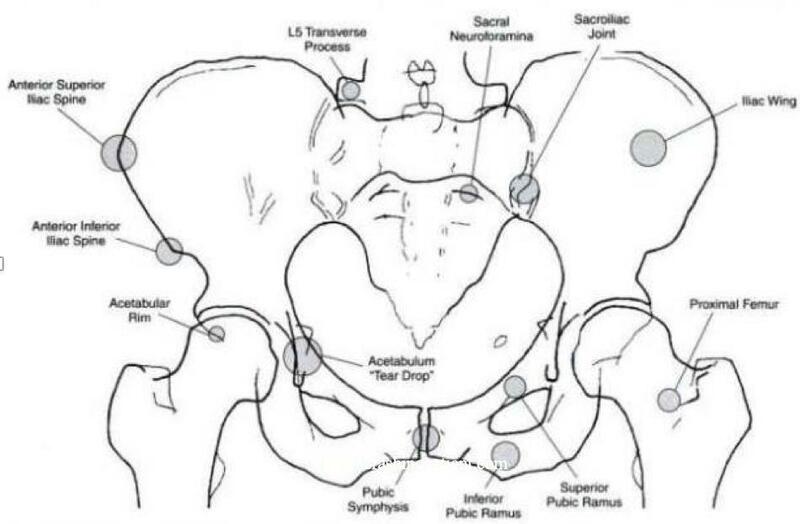 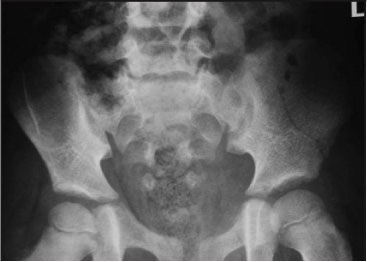 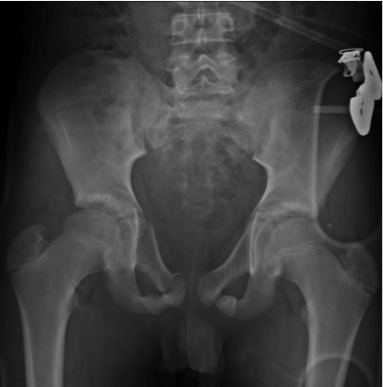 Pediatric Pelvic ring fractures are uncommon injuries that are usually associated with high-energy trauma and are often associated with CNS and abdominal visceral injury. 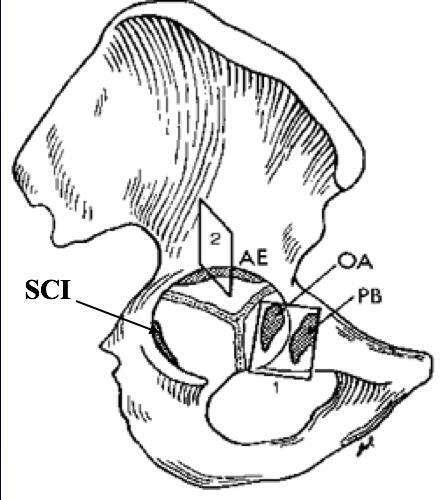 Blow to pubis/ischial ramus/proximal femur leads to injury at interface of 2 superior arms of triradiate cartilage and metaphyses of ilium. 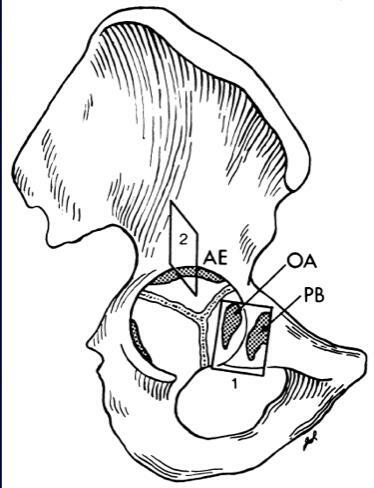 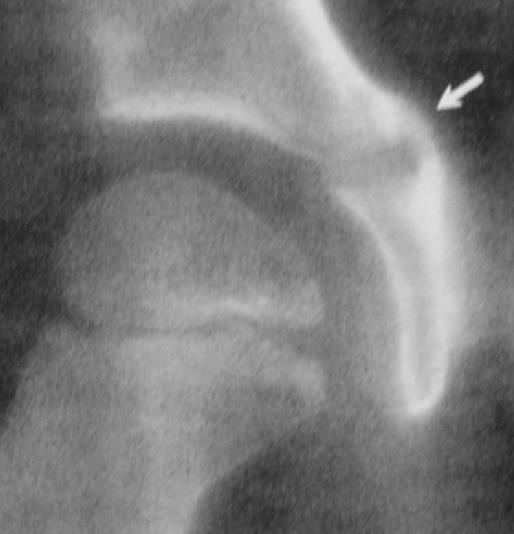 A triangular medial metaphyseal fragment (Thurston-Holland fragment) is often seen in SH II injuries. 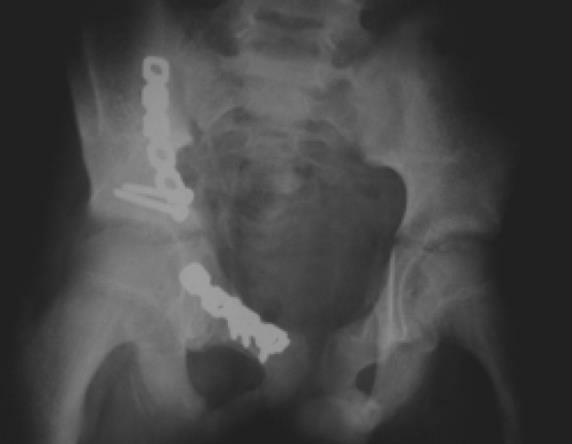 Difficult to see on initial radiographs. 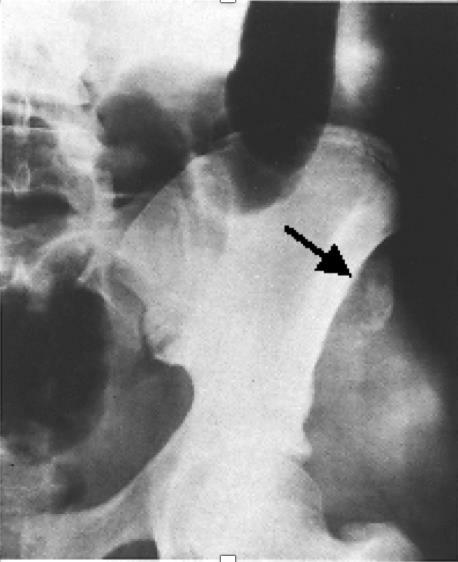 May detect narrowing of triradiate space. 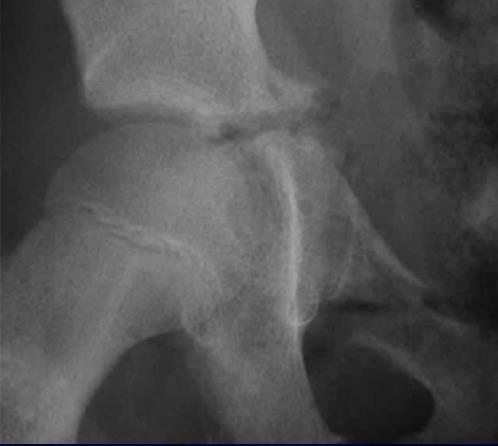 Leads to premature triradiate cartilage closure. 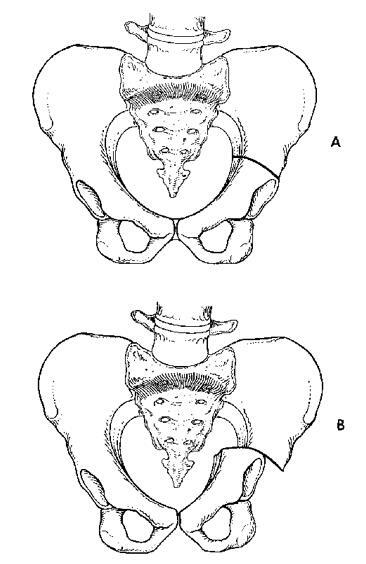 The earlier the closure, the greater the eventual deformity. 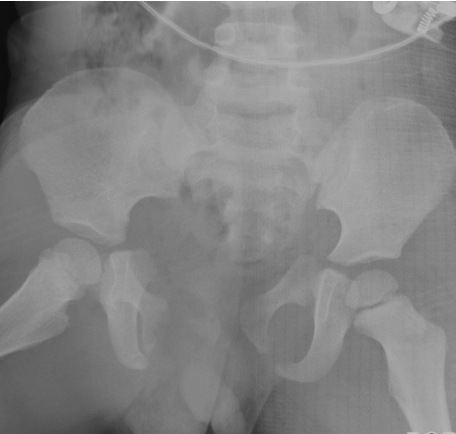 HPI - run over trauma 5 weeks ago, NV intact. 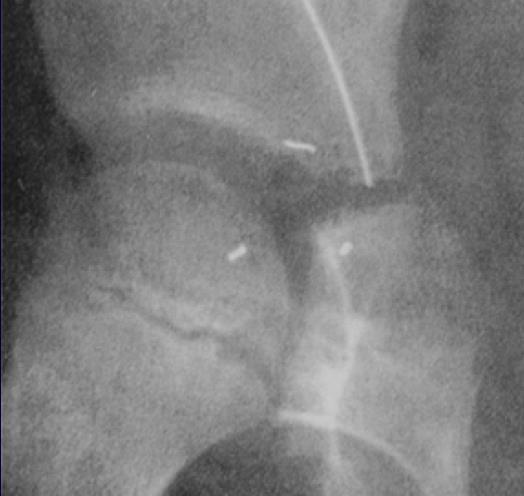 treated in a rural area with skin traction.